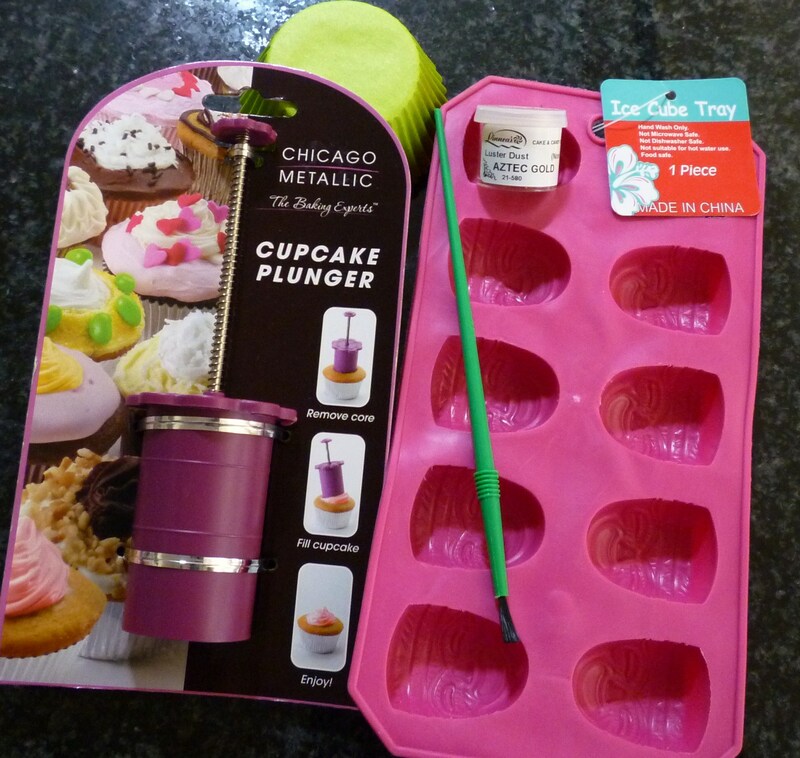 I love kitchen gadgets … I hope you do too! 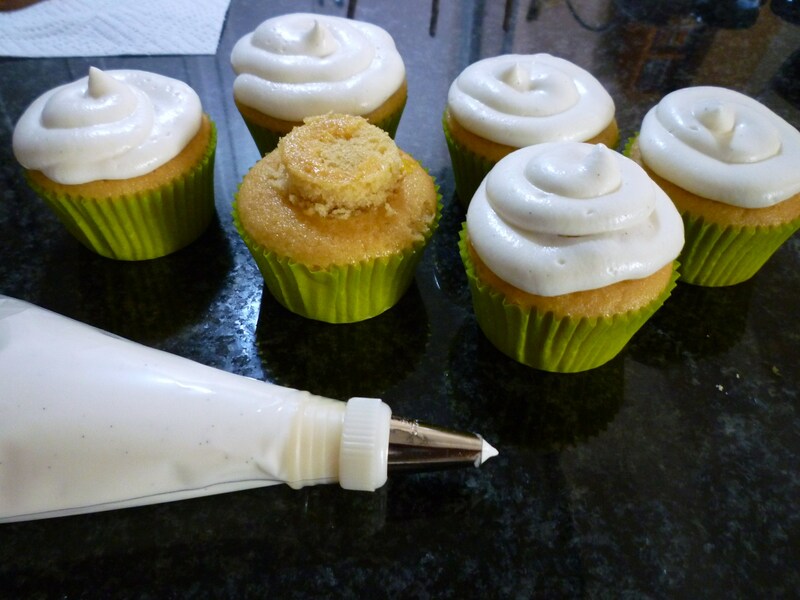 Several gadgets are used in these cupcakes and I’m sharing some with a lucky winner! Please be patient with me … there are a lot of steps in these directions … but I promise they are simple, as usual! 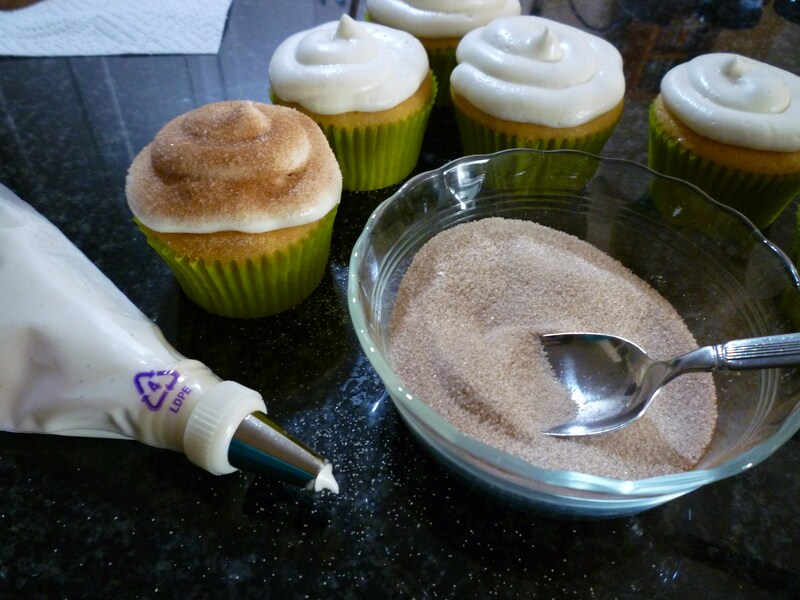 These cupcakes are easy to make … you can even make the chocolate masks days in advance. I bought the “tiki ice-cube mold” at Target ($1.00) several weeks ago and I was surprised on Saturday when I saw a summer clearance sale going on at Target. If you can’t find one at a store near you … I have good news … I bought an extra one for the lucky winner of this giveaway! 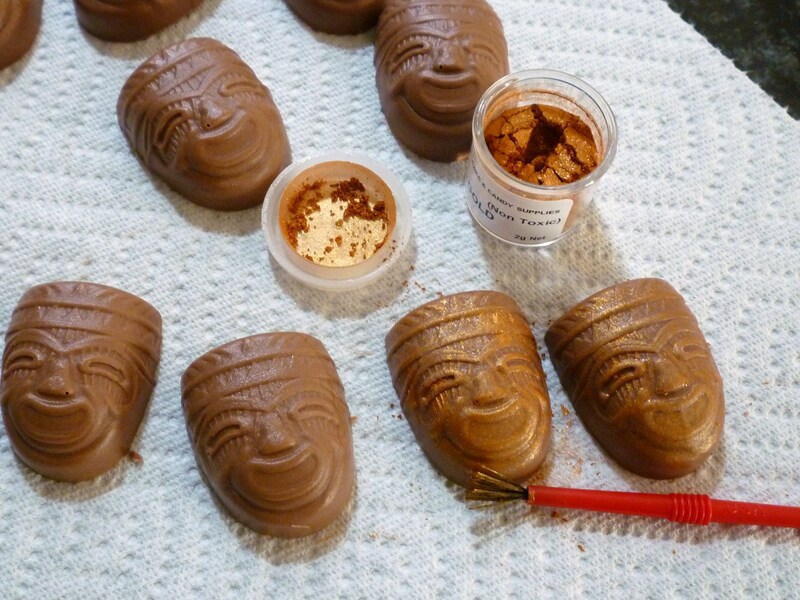 You may also find tiki candy molds on the internet or cake and candy supply stores. ARE YOU PLANNING A TROPICAL ISLAND VACATION? ARE YOU STAYING HOME AND CLEANING OUT CLOSETS? F.Y.I. – this giveaway is sponsored by me … I’m just sharing my love of gadgets 🙂 If your comment does not appear immediately … don’t worry it will appear soon! I’m actually staying home and cleaning out closets getting ready for a fall move … when I am not baking/decorating cakes and being Nana! 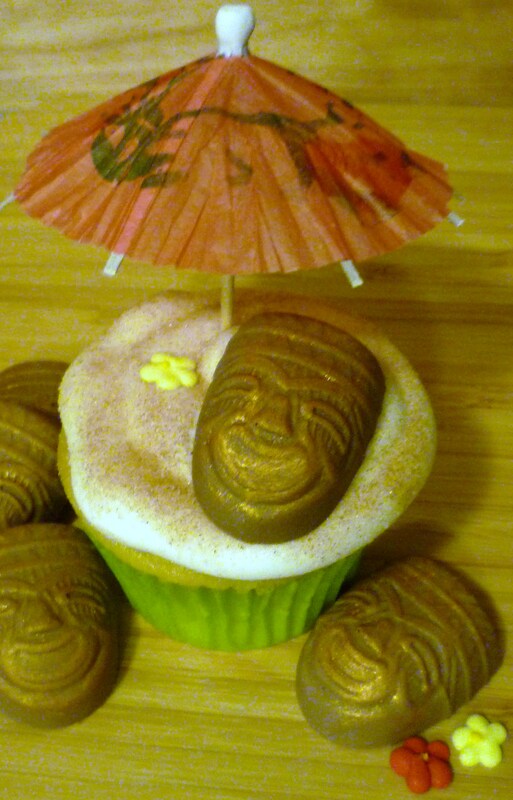 I love these tiki cupcakes and hadn’t ever thought about looking at Target for fun silicone molds/ice trays! These are so cute! Great for Summer parties. Thanks for sharing with us. love the tiki faces. We just got an aboveground pool…. so we will be in yardville (he he, my yard!) all summer. we may take a day trip to the shore. I am not planning on a vacation but this kit could sure take me away. Thanks for offering it. Those are TOO cute!!! Since moving from CA to TN I really miss the ocean. Will be in CA in September so will get my beach fix in Laguna Beach. seeing that I’ve been laid off since Oct – we won’t be going anywhere = it’s going to have to be “backyard fun” for me & my 3 yr old – so this kit would give me the “vacation feel” out on my deck w/ the tiki lights going! Been cleaning the closest out and waiting for the rain to stop long enough to go to the pool and relax! Oh and of course baking!!! We are doing a few mini trips this summer. So far we have went to a theme park and we are planning a trip to a water park, other than that it is just some home improvement projects for us. Afraid we won’t make it to the beach this summer 😦 just moved so all our time is spent trying to unpack and find a new place for everything!! Uggh wish I were going on a tropical vacay…looks like your post is as close al I will get! Thanks for the palm tree idea! I’m not doing much this summer, July is usually my busiest baking month, with 5 family birthdays. However, I had an easy time of it this year, I just had a custom fit brace put on my left knee, so one big cake was made for 4 of the birthdays. Two good things about this, I can bake whenever I feel like it and I won’t be cleaning closets out, lol. Not going anywhere special this summer. We took a family vacation for a week in April for Spring Break to the Dominican Republican (where it rained almost the entire time – part of our on-going curse). We’re having our annual Tiki Party and these would be awesome to make and ever so perfect. Never thought of looking at Target for Tiki ice cube trays. I am planning a trip to South Padre…I’ve never been there before and my hubby and I need a break…These cupcakes would work well there…the trees are adorable! These are so cute! Planning on camping at the beach in aug, trying to do some cleaning in the mean time. Thank you. These will be so fun, i do a different them each night while we are camping, so these will be perfect for the luau night. Alas, I am just working all summer! Cute cupcakes! No beach or tropical island plans this summer:( Probably will be cleaning out closets.lol. What a neat giveaway! I love it! I am enjoying the beach this summer with my sweet baby girl! No plans on going anywhere for the summer. Will be staying home to finish building my garden shed and spending time with our grand children. No big plans for us this summer. Watching our new grass grow in the yard, painting trim on the house, and a BBQ Cook Off this weekend! We have no beaches in Iowa so that isn’t an option. I have will have my first wedding cake order this summer. Excited!!! No money for vacation this year, but maybe a day at Rincon with family. 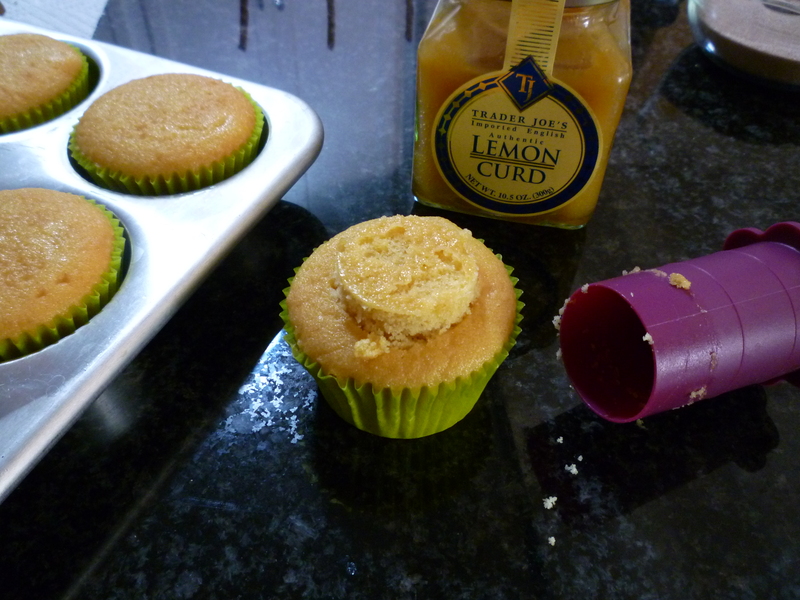 Thanks for the tips for these beach cupcakes. Cannot wait to share them this Jessica, my granddaughter. She will love making these. Great creation AGAIN. What an absolutely clever cupcake! 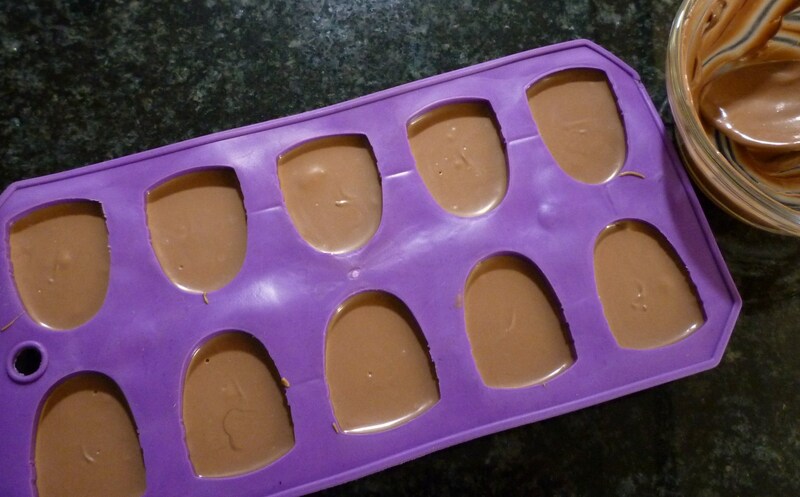 Would it help to spray the mold with oil so that the chocolate pops right out? The gold dust is the perfect touch for a rich look. Going to many girls fastpitch baseball games with my daughter and husband. She plays (12 yrs old) and my husband is one of the coaches. With this hot weather, I’m getting tan, but not at the beach. I love it, it’s tons of fun! We went to the beach and visited my son who is in the Navy. My kids are home schooled, so we have year round school. Summer vacation was WAY to short! 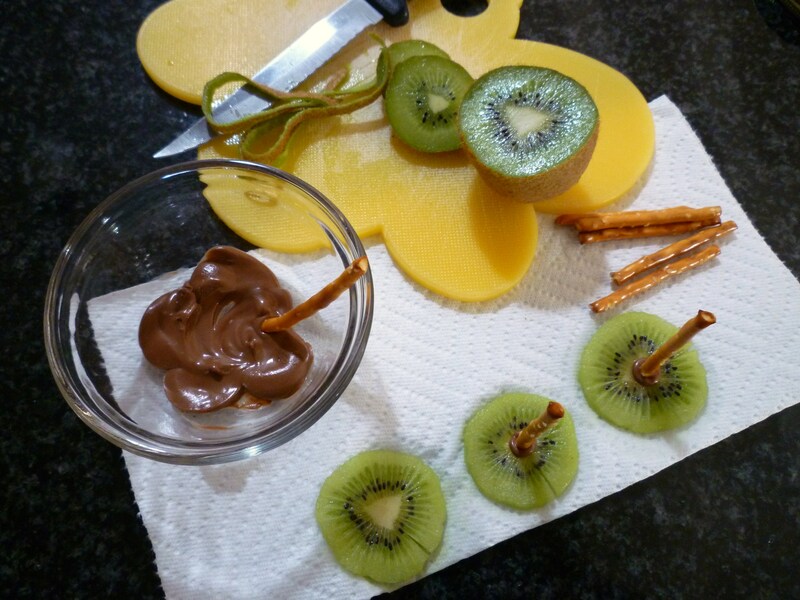 These looked so perfect for my son’s upcoming 1st birthday luau that I’ve decided to make them. The candy mold is en route as I type this- just ordered from Amazon. Anywho, and forgive me if this is a no-brainer type of question, but how exactly do I make the chocolate for the candy mold? Do I simply melt chocolate chips or something? 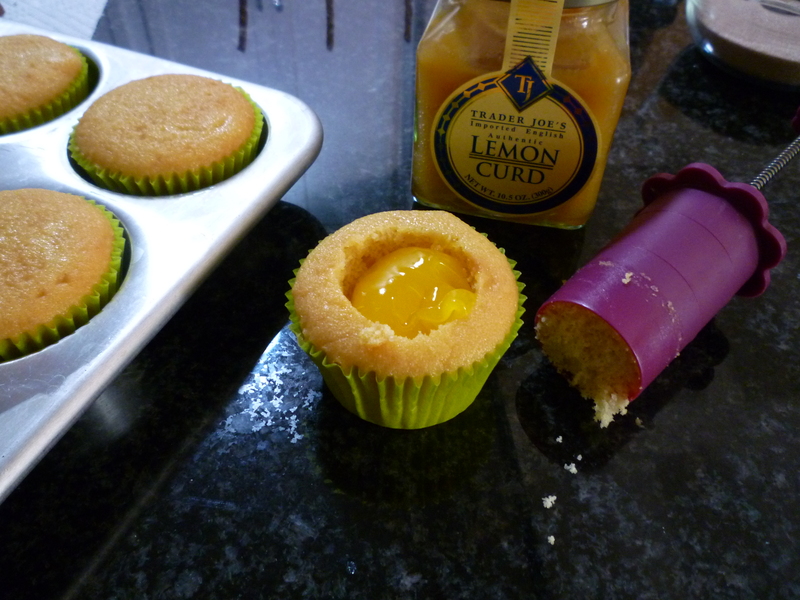 Thank you so much for this idea and recipe! Hey there! I ended up using Dove chocolate. I used the individual Silky Smooth Milk Chocolate and they turned out perfectly. I followed your instructions for melting the chocolate and it was easy as pie! Thanks so much for the idea and I look forward to following your blog! Great 🙂 Thank you for the success story and info about Dove chocolate! Cuuuttee cupcakes! My boys and I are actually leaving in two days for a 3 week trip back East, we are spending time in Boston visiting family, then heading to the Cape for 3 days (where we will be hitting a lot of beaches!!) and then heading to Maine to a cabin on the lake for a week! 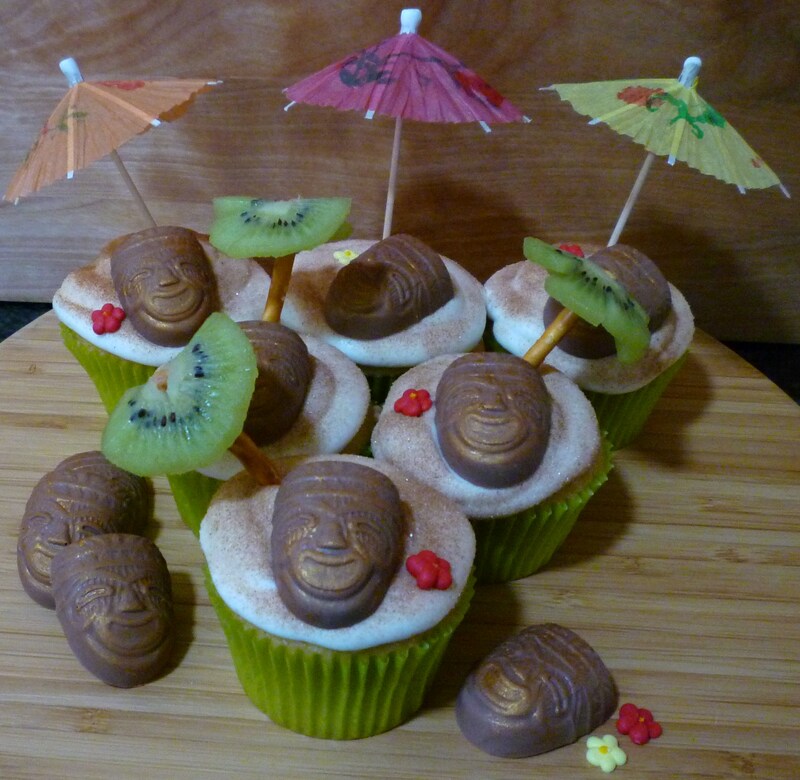 Not a tropical Island vacation, however when we return I will be throwing a Luau themed birthday party for my 7 year old and that is how I found your site, looking up tiki-mask cupcakes!